Bhuvan Bam is a very popular Indian YouTube personality and a comedian. Most people recognize him for his YouTube comedy channel, “BB Ki Vines“. Additionally, he is also a singer and has released five singles up to now (as of December 2018). Bhuvan established himself as one of the leading and among the successful YouTubers & Comedian in India. His first Youtube video was “The Chakhna Issue” which was uploaded in 2014. Now his youtube channel “BB Ki Vines” has more than 11 million + subscribers with 1 billion + views on his youtube channel. 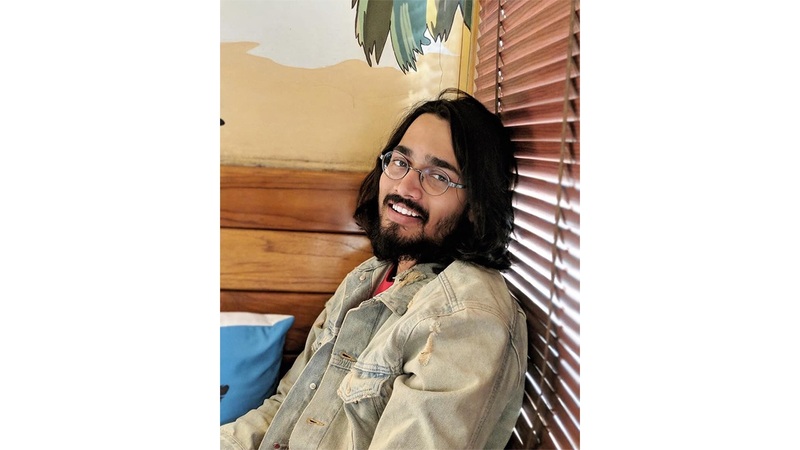 Bhuvan Bam was born in New Delhi, India on January 22, 1995. During his childhood years, he brought up around Delhi. At his early age, he became interested in the world of music and comedy is of Indian nationality. Besides, he belongs to Indian ethnic background. We come to know through his videos that Bhuvan is very close to his parents and relatives. Most of his videos are based on the characters of the mimicry of his parents and relatives. He has a younger brother but does not have any sister. Talking about his education, Bhuvan Bam attended Green Fields School, New Delhi for his high school level education. In addition, he completed his graduation from Shaheed Bhagat Singh College. Bhuvan began his career by singing in the Bars at New Delhi as a composer, producer as well as an instrumentalist. He is now a common face on YouTube, and he has more than 11 million subscribers on YouTube. His first video on the YouTube was “The Chakhna Issue” which received 10-15 views only and was later deleted from his channel. Bhuvan has also collaborated with the two Pakistani videos ‘Karachi vines‘ and ‘Bekaar vines‘. He has bonded with the another big Indian YouTube channel that is TVF (The Viral Fever) for the video “TVF Bhootiyapa Bachelors Vs Ghost“. In the year 2016, Bhuvan Bam won The Most Popular Channel WebTV Asia Award for his YouTube Channel “BB Ki Vines”. These were the latest information about Bhuvan Bam Biography, Early Life, Height, Weight, Age, Net Worth & More. Please do share guys this post with your friends and keep visit on NamesBiography.com for Indian celebrities biographical updates. You may share your experience or any kind of suggestion with us by leaving a quick comment below. Thank You!